My Uber is just off the expressway when my destination rears up in front of me: an ungainly, pale-grey shed reclining under power lines. 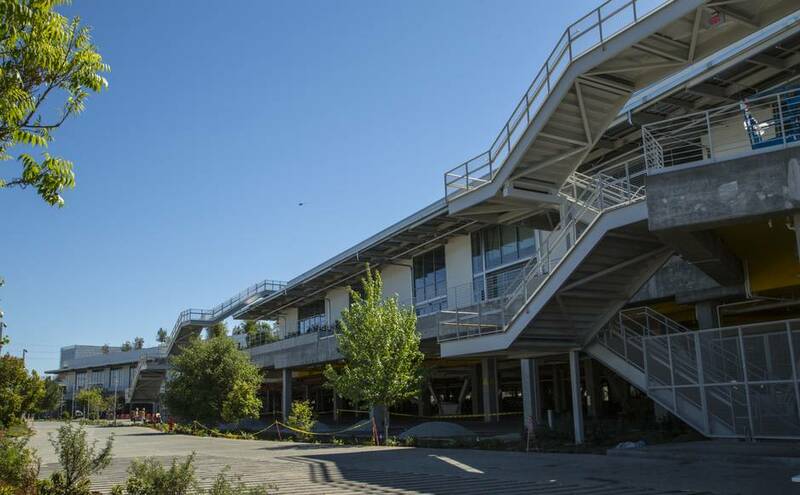 This is where the world’s richest 32-year-old goes to work: Building 20 at One Hacker Way. Welcome to the nerve centre of Facebook. The 434,000-square-foot shed was designed by the world’s best-known architect, the Toronto-born, Los Angeles-bred Frank Gehry. 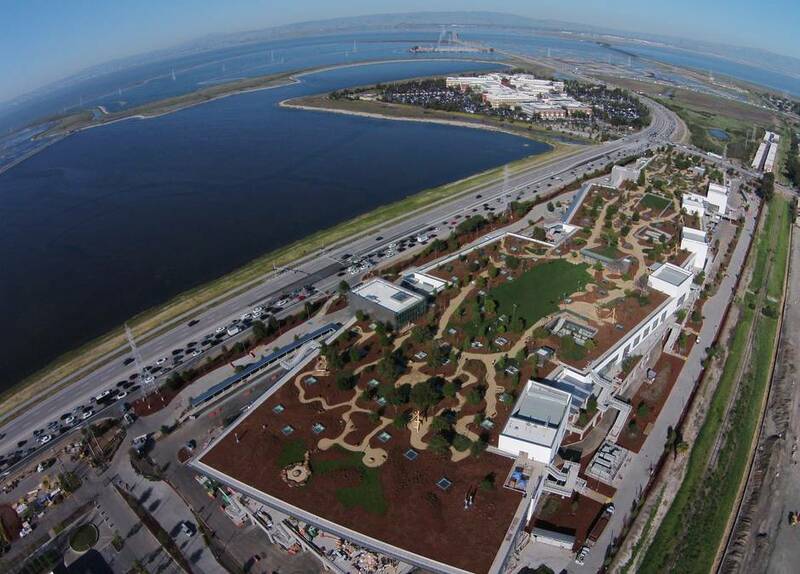 Opened last year, it is Facebook’s latest big bet on its “campus” here in the San Francisco Bay area – Mark Zuckerberg’s attempt to create its workplace of the future. 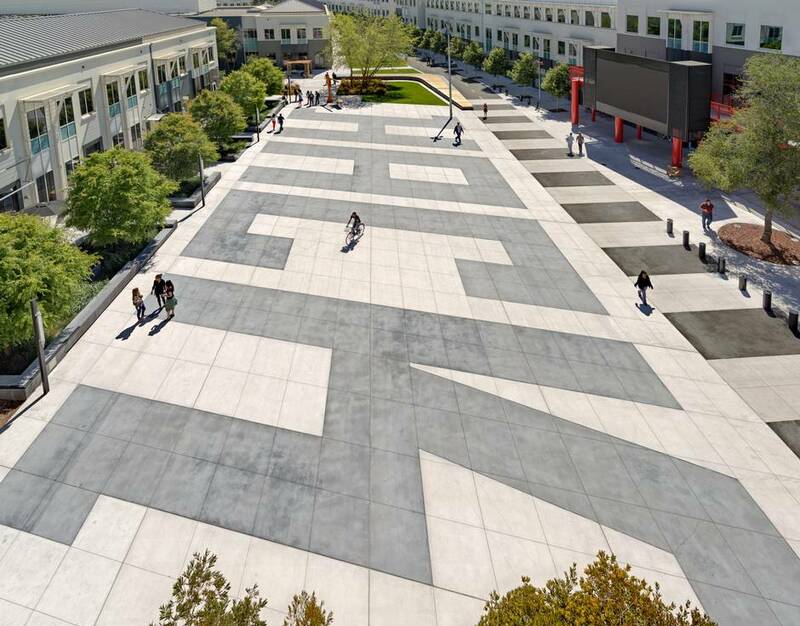 It’s a project that captures the tech industry’s ironies and delusions: A $300-billion company trying to look scrappy, a suburban site with urban pretensions. And, despite the architectural language of openness and contingency, it is a fortress. From the outside it looks like nothing more than a parking garage. Which in part it is: vehicles roll in and park on the ground level, under the single office floor, which is topped with a massive, meandering green roof. A massive green roof tops Building 20, which appears as a large parking garage. This scheme is efficient and also symbolically apt. It elevates the workspace above the drab suburban landscape and conceals the cars that ferry the 2,800 people who work there, while nature – or manicured nature, designed by landscape architecture firm CMG – gets pride of place. Facebook has floated comparisons between this place and the High Line, a park above the streets of New York. That comparison is, no doubt, attractive to the company’s hiring pool of well-educated, diverse high achievers. But Silicon Valley, a string of towns near Stanford University, has always been suburban. And the biggest tech companies are, today, doubling down on their presence there. Apple has nearly completed its new $5-billion flying saucer in the town of Cupertino; and Google is forging ahead with its allegedly innovative new office, by Bjarke Ingels and Thomas Heatherwick, in nearby Mountain View. For a sector that claims to value collaboration and innovation, this has negative consequences. Facebook employees in Menlo Park live entirely in their own world: they commute from the city on private buses, while working on the free WiFi. Laundry service at the office is free. So are meals and snacks. 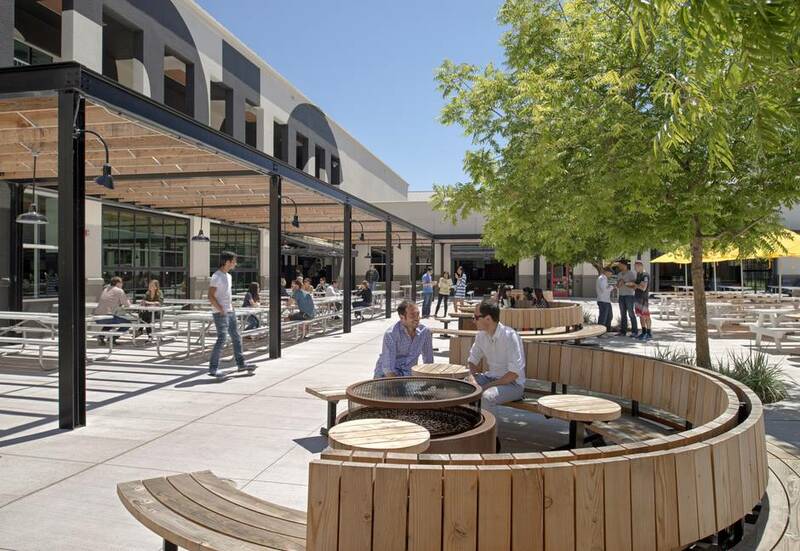 At lunchtime, they can sit on the artfully mismatched designer chairs in the cafeteria, or hop a bike over to Facebook’s older “classic campus.” I head there and visit the Sweet Stop for some ice cream. (The strawberry is delectable, and there is, of course, no cash register; the place has four-and-a-half stars on Yelp.) It almost feels like a city. But Facebook owns everything in sight. Building 20, which looks like a fortress from the outside, is 434,000 square feet. At MPK20 (as the building is known), Gehry’s firm, working under partner Craig Webb, has tried to resolve that tension with an interior that carries a whiff of the city. After I send her a Facebook message, a company PR minder – young, fast-talking, clearly unimpressed with my questions – marches me through the place. It’s a synthetic loft, brand new but designed to evoke the open-ended quality of a beat-up industrial building. A showy stair is clad in Douglas fir plywood, the signature material of Gehry’s early solo work. Renovating his own house in the late 1970s, he combined it with chain-link fence and corrugated metal, turning cheap building supplies into something permanent. That Arte Povera effect is what Facebook is clearly going for: Zuckerberg reportedly visited Gehry Partners’ offices in a Los Angeles warehouse and asked them to replicate it. And yet here the plywood is high-grade and treated to a high level of craft. It is, in other words, expensive. 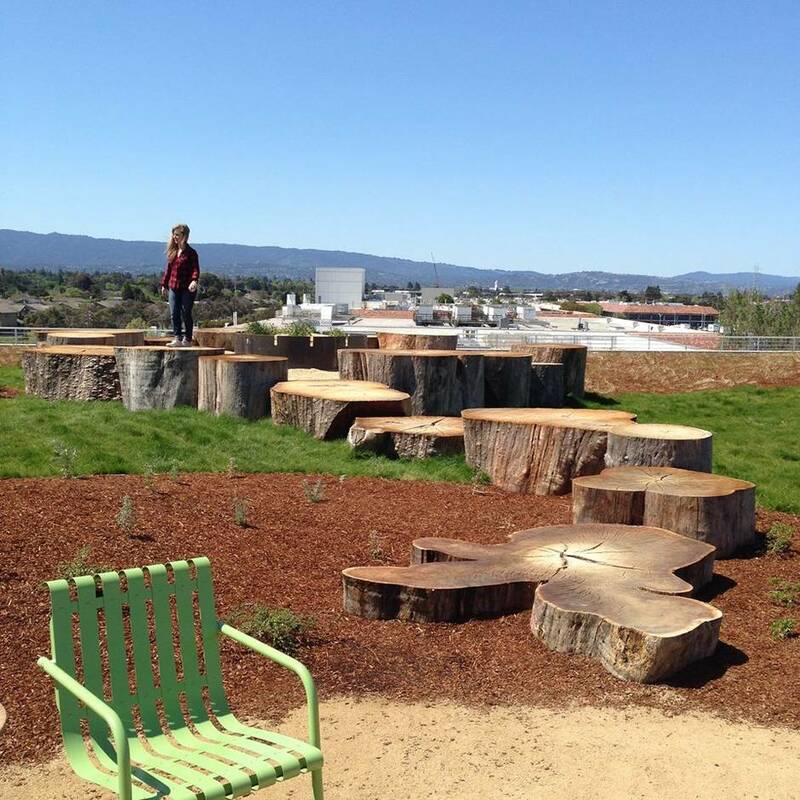 Facebook's campus feels almost like a city, where staff commute in on private buses and can access free laundry, meals and snacks. Zuckerberg claims that the building was cheap to build. While Facebook won’t disclose budget, it’s definitely rough. Twenty-two-foot ceilings rest on steel beams that still bear scars and notes from construction. Wiring and big, raw ducts snake along the ceiling, while painted paths on the concrete floor mark the pathways that stretch 400 metres along the building. An architectural model of the building on display in the lobby reveals the logic of the cavernous interior: it’s studded with little boxes, which could almost be buildings of their own – evoking the building-as-village that has long been a favourite theme of Gehry’s. 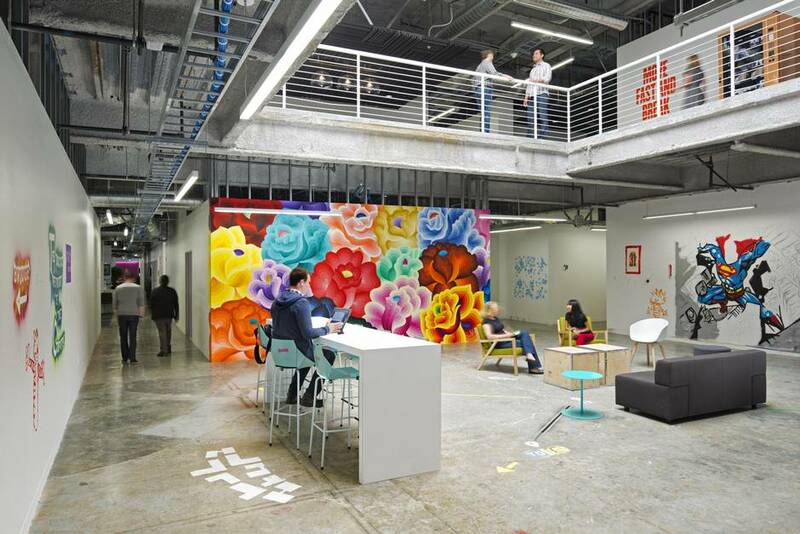 The staffers are clustered in ever-shifting project teams; there are product engineers, marketing and communications staff, and of course executives, including Zuckerberg and COO Sheryl Sandberg. “Over there is where Mark and Sheryl have their conference room,” says my young minder. “Please don’t take any pictures at all in this area.” It’s hard to imagine what I would capture in a photo – messy desks with big displays, and a room-sized plywood box in the middle distance. Despite the architectural language of openness and contingency, a defensive attitude persists throughout the company. This defensive attitude pervades the company and the entire sector. That’s even true of the companies that base themselves in San Francisco proper. The next day, as I visit Twitter’s offices in the scruffy Tenderloin neighbourhood, security guards sporting the blue-bird logo eyeballed me hard as soon as I stepped into the (public) lobby. And while a friend tours me around downtown, we enter the Deco tower where Yelp has its HQ and stow away on an elevator up to their offices. Within seconds the tatted receptionist realizes we didn’t have an appointment; two staffers, with a mix of nervousness and aggression, steer us back to the elevator. What have I seen on my illicit visit? A nondescript loft renovation, Danish modern furniture and jars of candy. If you’re curious, photos are all over the Internet. A diverse group of well-educated high achievers makes up Facebook's hiring pool. But even if they are weirdly defensive, they’ve chosen to be in San Francisco. And San Francisco’s downtown – particularly the South of Market district where tech companies are congregating – is incredibly lively. It looks like that picture on the LinkedIn home page: lots of young people, skewing male and dressed like stylish undergraduates, eating tacos and engrossed in their phones. As I walk the streets, I reflect that all those wealthy youngsters don’t own the city: there are older people here, too, and buskers, and homeless men, and a local union protesting on the sidewalk against a tech employer’s use of scab labour. It is a city, something Building 20 can never be – something even Facebook and Frank Gehry can neither create nor control.